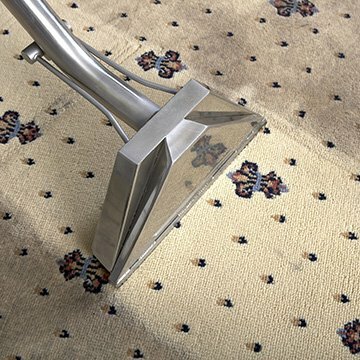 Carpet Bright UK provides top quality professional carpet cleaning in Sevenoaks TN15. Our fully-trained team of carpet cleaners in Sevenoaks TN15 works closely with all our clients - both residential and commercial - to meet each individual's requirements. And you can be confident that you’ll never be offered a product or service you don’t need, because as the leading professional carpet cleaner in Sevenoaks, we pride ourselves in our open and transparent approach to every job, however large or small. Dirt and bacteria build-up can leads to worsening allergic reactions as well as unpleasant lingering smells. That's how an unhygienic environment is created in your home or place of work. To deep-clean your carpets regularly is therefore a real investment: freshly-cleaned carpets brighten all your living spaces, benefiting your family’s health and helping to protect children who have allergy problems or suffer from asthma. Having your carpets regularly cleaned by professionals provides powerful long-term benefits for everyone. If you need great, effective, local cleaning, Sevenoaks now has the answer: Carpet Bright UK can bring a new lease of life to your valuable investments and help keep your living or office spaces clean and free of dirt, debris, and bacteria. We also offer our customers car interior cleaning, making sure your seats, headboard, and car mat are dirt and debris free, and clean a range of other soft furnishings along with mattresses, curtains, sofas and armchairs. We're the professional carpet cleaner Sevenoaks can depend on. Please do get in touch - our team will be happy to provide you with a free, no obligation estimate. The highest quality of service for our carpet cleaning in Sevenoaks. Fantastic results at affordable prices. 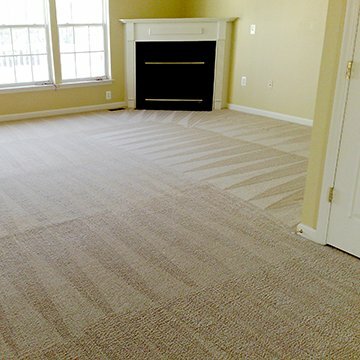 To offer our clients the BEST carpet cleaning in TN15. We have served over 2,100 happy carpet cleaning customers in Sevenoaks! "Carpet Bright UK's carpet cleaning provided the best experience I've ever had with a carpet cleaner in Sevenoaks. They were prompt, professional, honest, and thorough. Their prices are also very reasonable!" 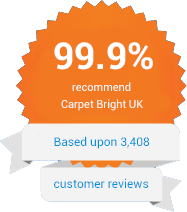 "I have been a loyal customer to Carpet Bright UK for years. Both of my buy-to-lets in Sevenoaks had tenants that left the carpets in a terrible state. Alvin was able to remove all of the stains at a minimal cost. I will continue to remain a customer to them." "They did a wonderful job cleaning my flat carpet. The guys were very professional and fun to talk with while they were working. Great company."